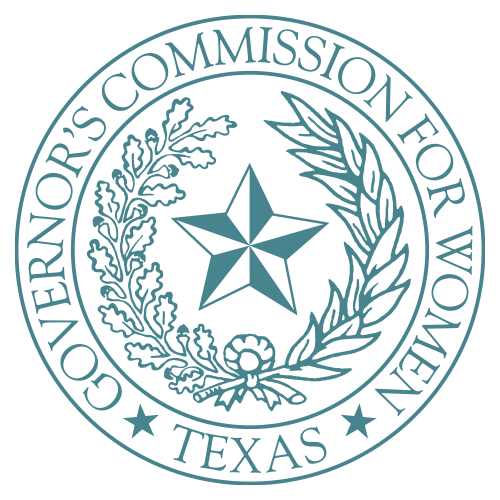 For over 50 years, the Governor’s Commission for Women has served as a resource and champion for women throughout the state of Texas. Established by executive order in 1967, the Commission has continued to serve the state of Texas through executive order continuations from every administration since. Our mission is to provide access to the resources and tools that empower and enable Texas women and girls so that they may live healthier, more productive and more prosperous lives. The Commission specializes in providing leadership through outreach, education, research and referral services. We work on a variety of topics - from questions on starting a business to achieving a healthier lifestyle. The main activities of the Commission include developing women-owned business opportunities, promoting issues concerning Texas women, highlighting the accomplishments of notable Texas women, and responding to constituent inquiries related to women’s issues. We also serve as a liaison between Texas women and government agencies, as well as private entities addressing women’s needs. The Commission provides a wide range of services in a cost-efficient manner. Although, it is important to note that the Commission and its efforts are not exclusive to women. The Commission recognizes that partnerships, support, mentorship and collaboration with everyone, including men, is critical in raising the entire state of Texas up. When women are empowered and thrive; their families, businesses, and communities prosper. We are dedicated to ensuring every Texas woman and girl has the opportunity to reach her full potential, to be free from violence, and to live her dreams. We encourage you to explore the resources available throughout our website and to connect with us to find out how we can help you.